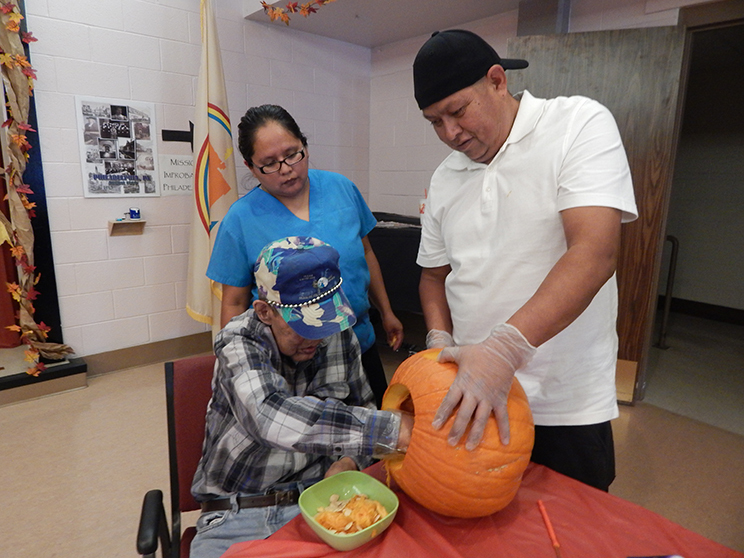 We celebrated this year’s Halloween by having a “Monster Bash” with our Residents, employees and families. 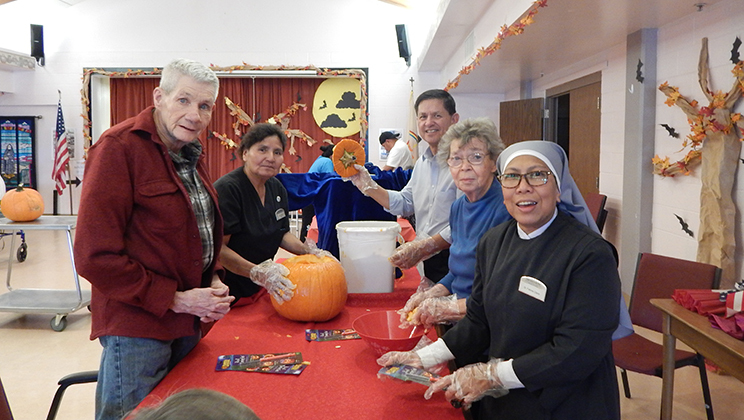 Everyone divided into groups on Monday afternoon and picked the pumpkin of their choice from the various pumpkins that were donated. The groups then either carved or decorated their pumpkin according to the chosen themes. 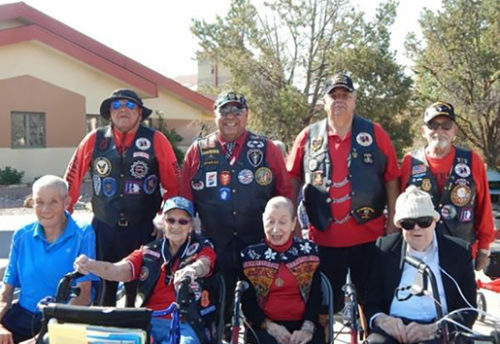 On Wednesday, many of our employees wore costumes to help the Residents get in the spirit of the day. At the party in the afternoon, we all enjoyed a game called the “Pumpkin Pass” which was a combination of “Musical Chairs” and “Hot Potato.” Each grouped cheered louder than the next for their team member to win! 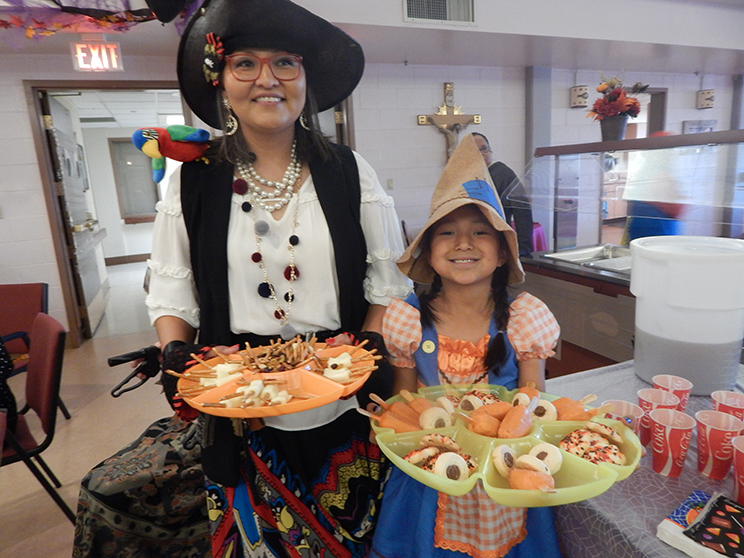 After a delicious snack prepared by our kitchen staff, the judging began with voting for the best costume and the best pumpkin. All five groups won! 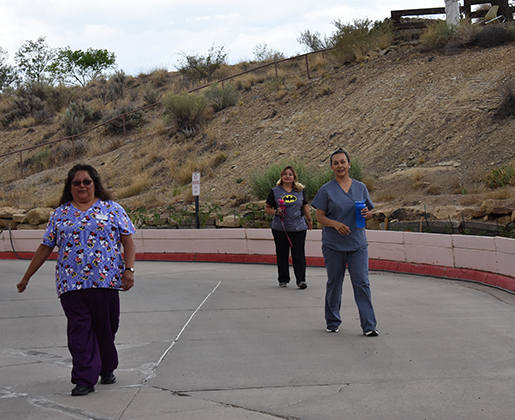 To end the party, our employees invited the Residents to join in a Soul Train Line Dance. It was heartwarming to witness everyone enjoying themselves. We’re Off to the Races!